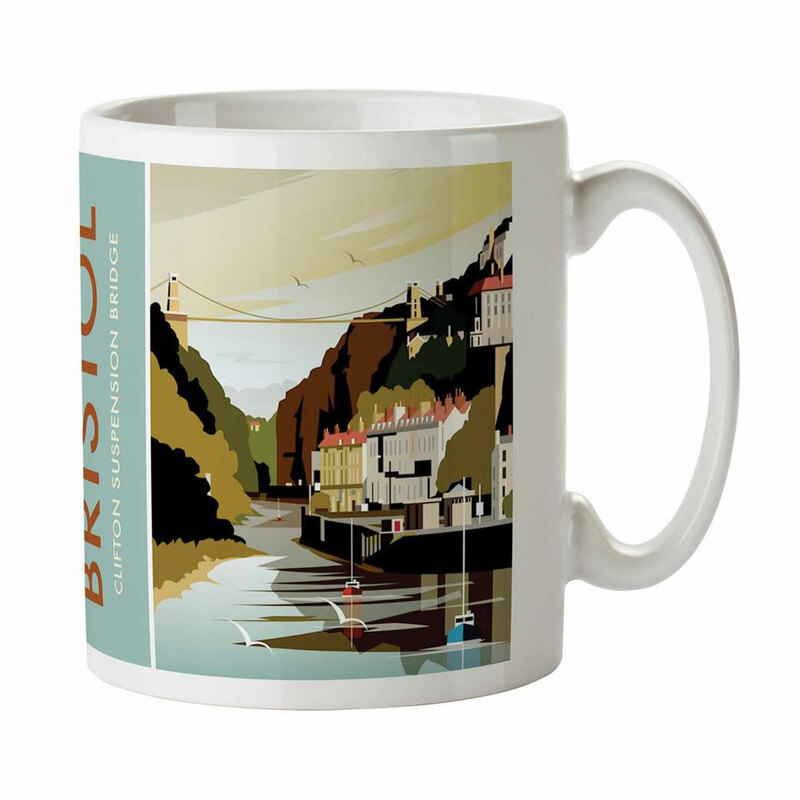 A stunning design of Clifton Suspension Bridge over the River Avon, Bristol. By talented artist, Dave Thompson. Thompson's art revisits a classic era of poster design, taking many elements of popular 1950's travel art, while remaining current and vibrant. This mug is created using the finest dye sublimation techniques and creates a stunning dishwasher safe finish.